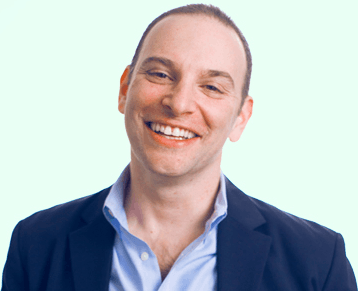 In this episode, Dave is excited to welcome Andrew Weinreich. Andrew is a serial entrepreneur, social networking pioneer, and active presence in NYC’s Silicon Alley for 2 decades. To date, he’s founded 7 startups and has been awarded 2 software patents. Since 2013, he has sold 2 businesses, including Xtify to IBM, while advising 5 tech startups. He is currently the co-founder and Chairman of Indicative, a data analytics startup. Additionally, Andrew created the Roadmap Curriculum, an unparalleled educational guide for startup founders. The Roadmap Curriculum provides a solid foundation for founders to build their companies using best practices in order to manage and scale their teams. It covers everything from business planning to product development, branding, financing, and even pivoting/changing course. But, one of Andrew best gifts is the ability to spot large scale trends and take advantage of them. We are going to share some of his best secrets on entrepreneurship and spotting and actioning on trends in this episode. Andrew says he progressed through a number of careers that didn’t work for him to find his way. He did everything from banking to being an attorney, but had a long desire to build something on his own. In 1995/1996, he formed a group to look for the best opportunities in the new internet era. One of the things that he did during this time was create and patent and database used for social networking. Andrew quit his job and started a company called 6 Degrees, which was the first social network. He sold that in the early 2000’s. He then went on to his next venture in the Wi-Fi-networking space and his other companies like Xtify which sold to IBM. Andrew has a knack for spotting trends and positioning himself to take advantage of them at the right times. Business Planning: It’s almost never that you see a great business look like its business plan. The goal of a business plan is not to identify of what you will be doing 5 years from now. It’s the exercise of thinking through your business holistically. It is a tool to demonstrate to yourself, people that work for you, and investors that you are addressing a problem holistically and thinking through all of the problems and things you will need to do to make the business successful. Company Formation: It shouldn’t take more than a day’s worth of thought. It’s driven by tax considerations and by an appreciation of it you are building a venture backed business, which you would almost always do a C-Corp. Don’t re-invent the wheel. Qualify your objectives with an attorney and listen to their advice. Branding and Identity: The key piece to branding and identity is the exercise of understanding who you want to be. You do this by articulation all of your aspirations. Great brands are reflective of who they want to be in the future. Product Development: Almost nobody launches a digital product that correctly hits the mark. Identify the 99% that is terrible on launch and the 1% that is brilliant. Take the %1 and then create the next iteration. Don’t outsource. Product development is a process. A great CEO is almost always the director of product. They must be fully engaged. Marketing and Sales: Startups need to prioritize one or the other. It’s tough to do both at the same time. First ask the question, “Marketing or Sales?” It depends on your company type. For example, if you have a website that you want to get eyes to, then it’s marketing. If you a new SAAS solution, you would want to sell your first clients to prove the solution works. Financing: You should always be networking and spending at least 10% of your time telling your story. To find financing, you can start putting together a list of anyone who is a competitor or related to your industry, then go to www.Crunchbase.com and look at which investors have invested in companies like yours or your industry. Look for those that are focused on your space. Pivoting: Every business pivots at some point or multiple points. The question is how big or small is the pivot? You will have to be open and willing to change course and adjust as needed. Every entrepreneur should know that they are not an island. There is a broader community to participate in and that you can share and gain insight from. Share more without fear of it being stolen or mis-appropriated. Don’t be afraid to put it out there. At the 30 min mark, Andrew talks about how to spot trends and disrupt markets. Ask yourself what is inevitable in a space? Then look at how you can figure out where they wave is going to be and go ride the wave in the way you see fit. You don’t have to be exactly right, you just need to get into the ballpark. Macro thesis: Form a perspective on the future of a space. Identify the smartest people you know to work with and recruit them to work with you. People are most interested in joining a passionate leader with a purpose than money or the right title. There is never a right time to start. If you have a macro thesis and the semblance of a team – get going!